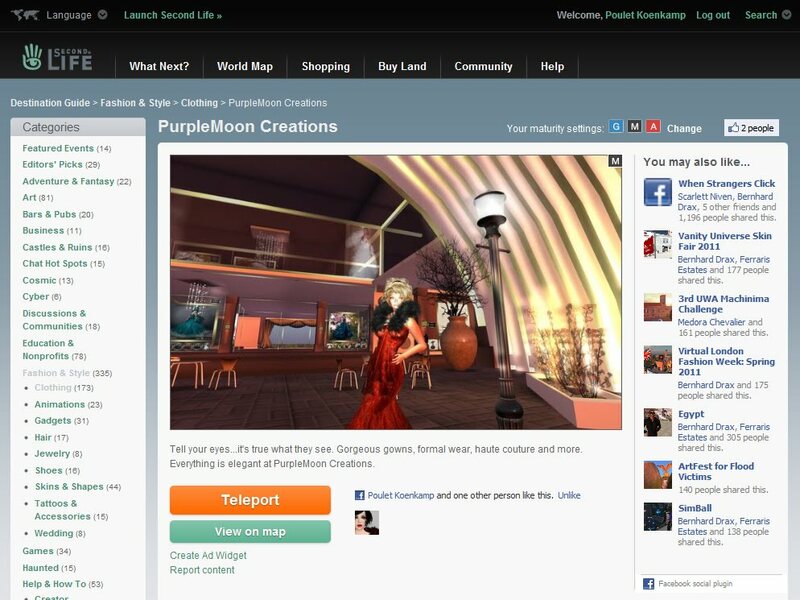 PurpleMoon @ SL Destination Guide! | ! *PurpleMoon Creations* ! PurpleMoon @ SL Destination Guide! What a surprise I've got a few minutes ago! LL included PurpleMoon in the Destination Guide! I saw Gabrielle Linden buying a dress a couple of days ago but I certainly didn't see this coming. Thank you so much LL for this wonderful treat! Look chic for only L$55! Fashion for Life 2011, let's help! Discount items! Only L$55 each!